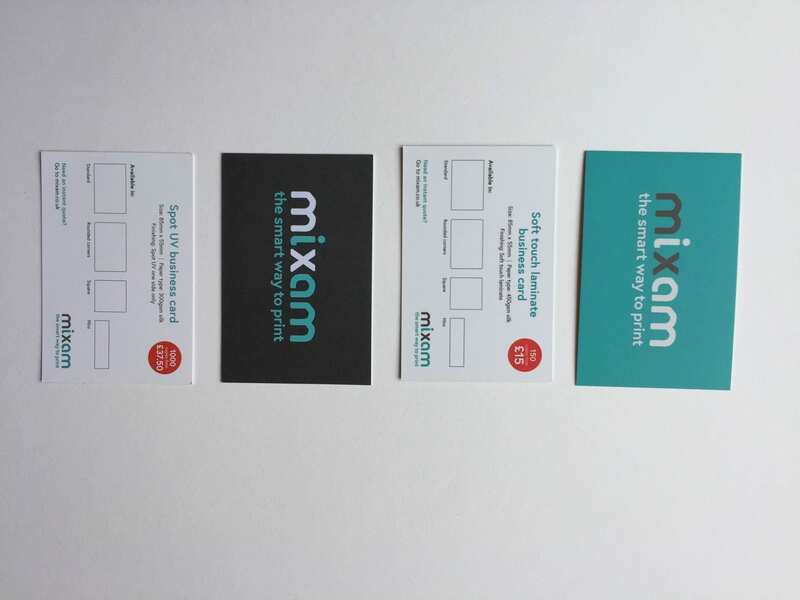 Mixam: In terms of business cards, I like Mixams matt laminate, which is 85mmx55mm and 400gsm. It feels professional whilst being a good size to put in wallets. However, I also like the soft touch laminate business card which is the same size and 450gsm, which therefore feels slightly more luxurious but is more expensive. 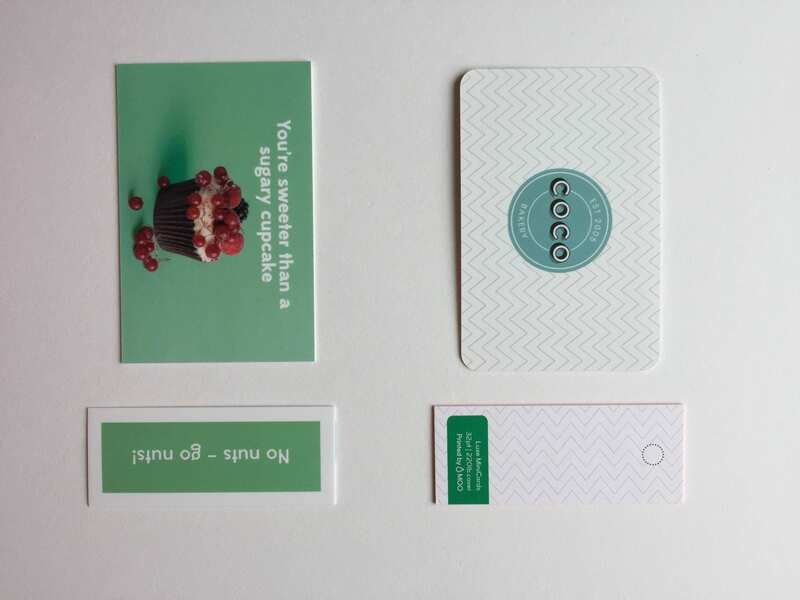 In terms of pricing, the uncoated business card is the most affordable option. 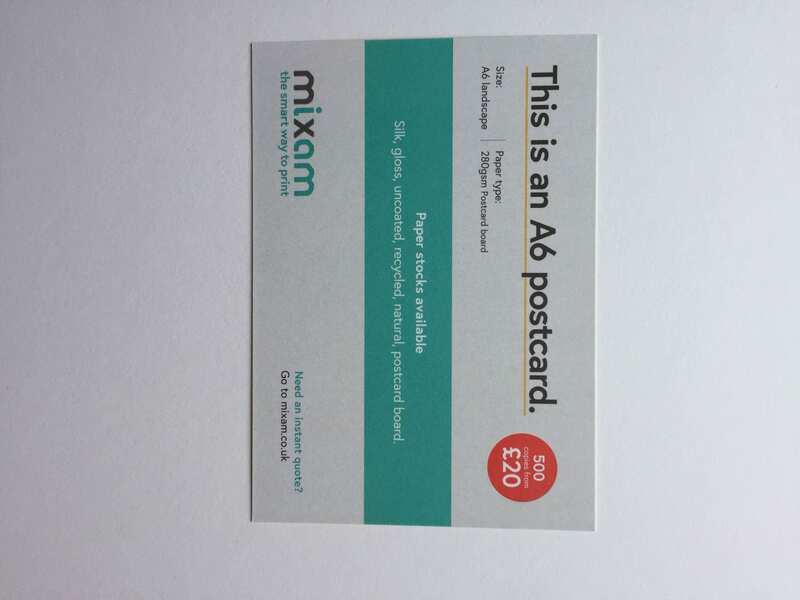 It is the same standard size and 350gsm. I feel all 3 are good options. My decision will be determined by pricing and the imagery used when closing to purchasing. 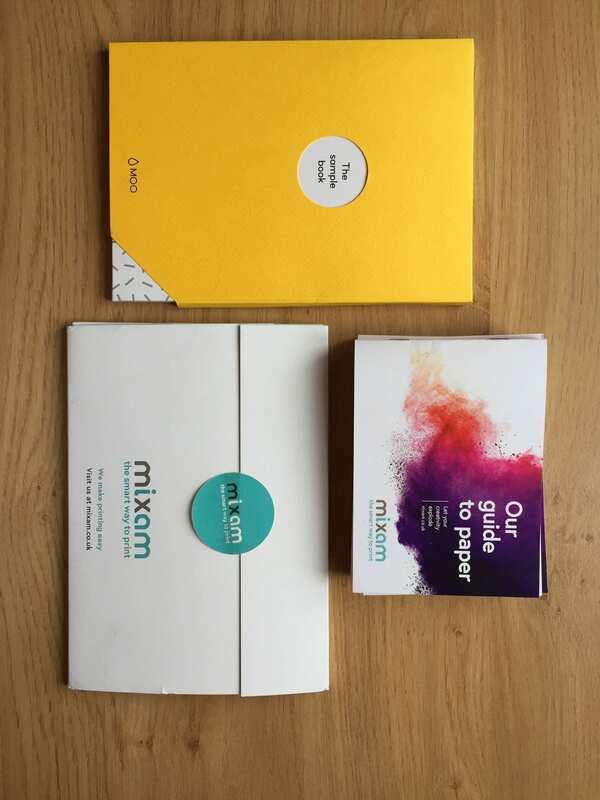 In terms of the postcards, Mixam give you the choice of silk, gloss, uncoated, recycled, natural and postcard board paper and have a range from 200-400gsm with laminate options too. 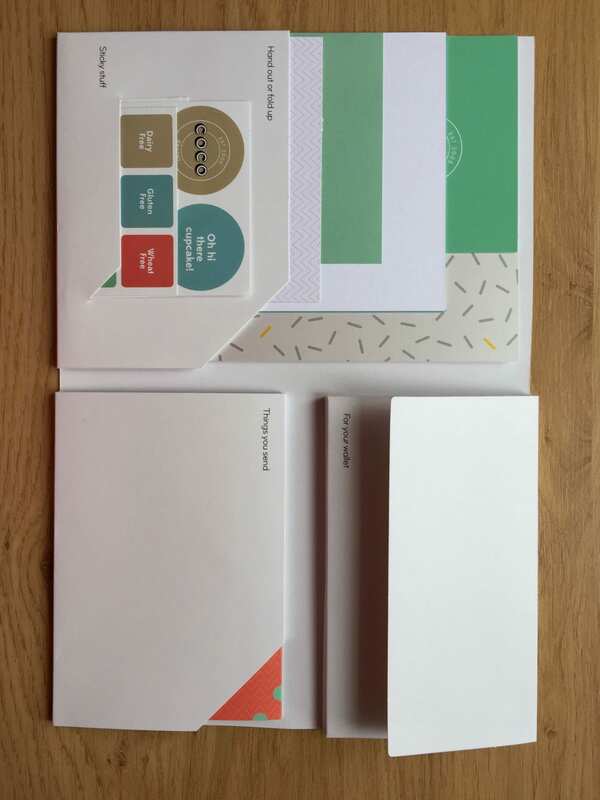 I am most interested in using an uncoated, recycled or postcard board paper which a high gsm (300-400gsm.) This choice will also depend on the costings and my choice of image so that I pick the best finish/ paper for my visual style. Moo: In terms of business cards, Moo do some unusual shapes. There is a standard size as well as a square or the mini cards. I think a square is less practical and isn’t pirse/wallet friendly and therefore I don’t feel I would pick this size. I quite like the idea of having some mini cards alongside the standard size. 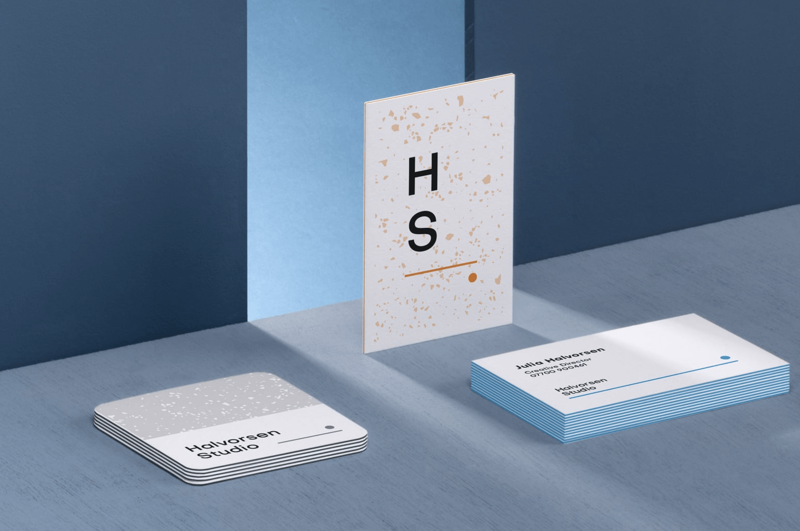 The soft touch super business cards on 400gsm paper feel luxurious and professional however, the original matte business card would be suitable too and at a more affordable price. 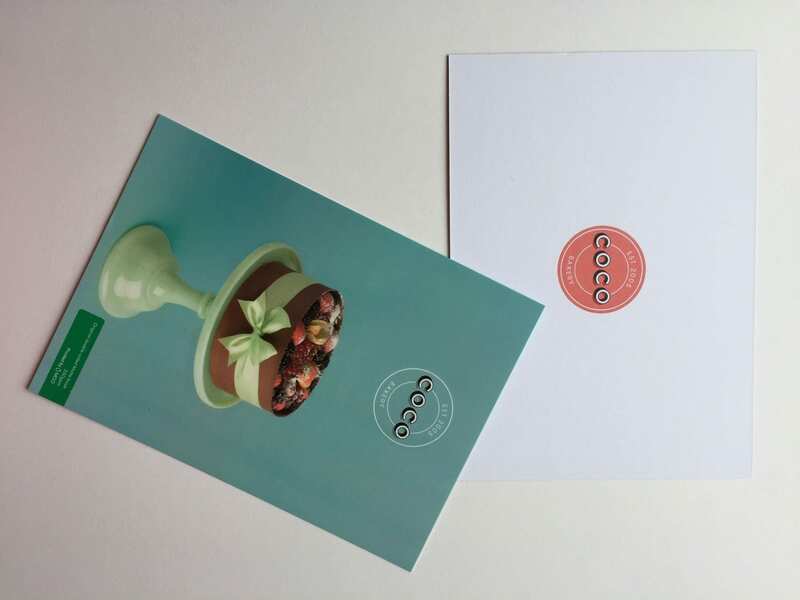 In terms of the postcards, the original in matte (330-350gsm) would be suitable. Once I have decided on my content and visuals to use, I feel I will be able to pick the right products to suit the imagery. I will also need to consider the paper I would like to use for my physical portfolio. I have already looked into this for my magazine for my FMP so therefore I can use my knowledge from that research to find a suitable gsm and finish. I would ideally like a fairly high gsm, natural/uncoated or recycled paper.